Thank you for being our friend and reading our reports and praying for us. For supporting us time and time again. For believing in evangelism and revival. For helping us to "go into all the world and preach the gospel to every creature." And especially for taking time to read our reports. I know you get many, and I don't take it for granted that so many of you read and pray for us! Bro. Micah is on the other side of the world and is currently preaching the gospel in "underground" house churches to kick off this particular 8 weeks of evangelistic work. I sometimes worry for his safety and his health, but am always reminded that God is our provider and our protector. Please keep praying for him. Through his work, the gospel is being declared in one of the most spiritually dark countries of the world! He needs our prayers. While he is there, we are also declaring the gospel here at home. I have preached revivals and evangelistic meetings almost non-stop for most of this year and have been thrilled to meet so many people who are hungry and thirsty for revival. My Bethlie has spoken in several ladies conferences and has also been privileged to stir the hearts of many ladies toward revival. I have six more meetings yet to go in this year and am eagerly anticipating God's blessings as together we seek Him. Will you keep praying for us? We operate by faith and are continually seeking His provision. Pray for Bro. Micah's needed support. Investments in His international evangelism will have much fruit that will abound to your account! Pray for our needs as well. Bethlie and I have two kids in college and are in need of putting a roof on our house in the next few months. Our God has always provided and I know He will continue. So, we keep asking! I hope you will continue asking with us! Please write us a line or two. It is always a blessing to hear from you and when I receive your notes, I always take a moment to pray for you! P.S. 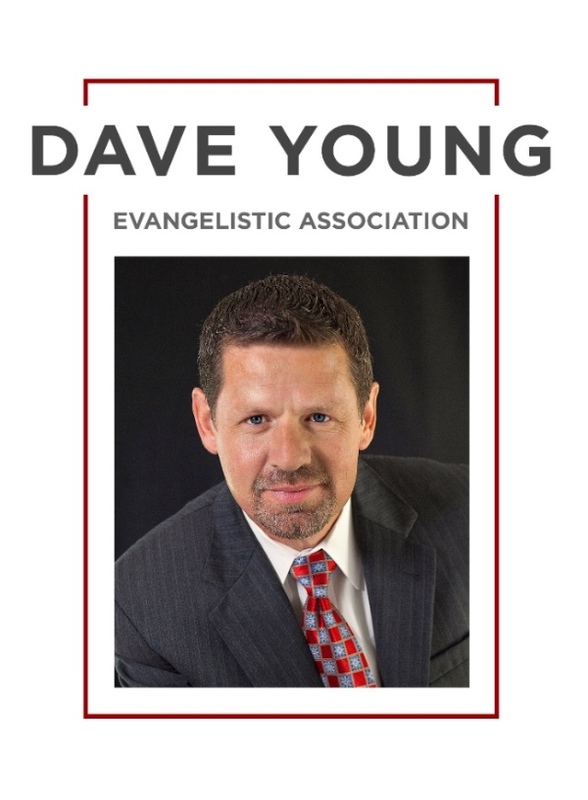 If you would like to have a part in our work of taking the gospel around the world, you can always give through our website at www.EvangelistDaveYoung.com. I am super thankful to all of you who already do.